The benefits of tofu are many. Tofu isn't only an excellent food from a nutritional and health perspective but also from a cooking perspective too. It's very versatile and can easily and quickly be added to various stir-fry dishes. It also acts as a great little substitute for meat for us veggies too! 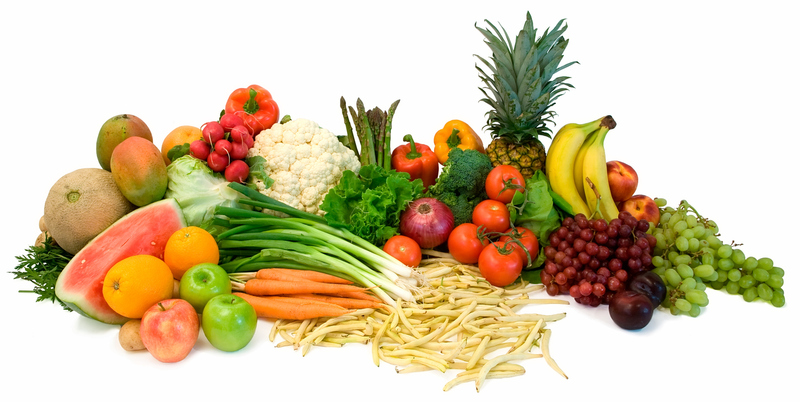 In addition to this is the fact that it offers a good supply of vitamin E which is a natural antioxidant. Tofu is made from coagulating soya milk. The result of which are formed curds. This is the reason for its other name, 'bean curd'. These curds of coagulated soya milk are then pressed into blocks which are soft and white in colour as you can see from this image. Fresh Tofu - This is produced directly from soya milk (also known as soy milk). Fresh tofu is usually sold completely immersed in water in sealed packages to maintain its moisture content. Processed tofu - This is fresh tofu that has been processed further in various ways that result in a variety of tofu products. There are also culinary benefits of tofu due to its various individual textures and water content, all of which come from fresh tofu. These different levels of 'tofu firmness' make it a very versatile main ingredient for your vegetarian recipes and dishes. 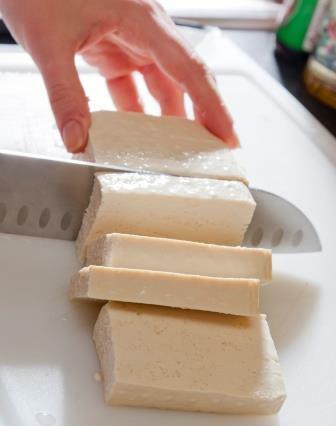 Soft Tofu (silken tofu) is un-drained and un-pressed and therefore contains the highest content of moisture. Firm Tofu is drained and pressed but still contains a large amount of moisture. Its firmness is like that of fresh meat. The texture of the inside of this tofu is like thick cold custard. Extra Firm Tofu has had a large amount of liquid pressed out. It contains the least amount of moisture compared to other fresh tofu types and has a slightly rubbery feel. It is quite brittle and can easily be crumbled when thinly sliced. Soft Tofu is ideal for vegetarian shakes, sauces, desserts and dressings. Firm Tofu is ideally suited to stir-fry dishes, grilling and baking. Another one of the many benefits of tofu is it's completely neutral taste. This makes it a perfect addition to any dish whatever the flavours are as it doesn't affect the existing flavours of the dish. In fact, it's quite the contrary, as it tends to take on the existing flavours of the dish it is added to. Tofu is sold and stored in a couple of ways. It can be purchased in bulk or in individual packages which are refrigerated. Tofu is also sold in sealed containers that are kept at room temperature and therefore do not need to be refrigerated except when open. All types of tofu should be rinsed, covered with water and kept in a container and refrigerated once opened. If you want to prolong the life of your tofu the water should be changed often and the tofu then put back in the fridge. This should help it to last for up to a week or more. You can even freeze tofu providing it is kept in its original packaging. The nutritional benefits of tofu are significant. This is very helpful if you are trying to stick to a vegetarian or vegan diet. Tofu is high in protein and Iron and contains all eight essential amino acids which makes it a complete protein. Depending on what type of coagulants are used in it's manufacture, (e.g. calcium chloride, calcium sulphate, magnesium sulphate), it is often also high in calcium and/or magnesium too. It also contains a good supply of copper, zinc and vitamin B1. It also contains other minerals such as; manganese, selenium and phosphorous. Another one of the very appealing benefits of tofu to many, is the fact that its very low in saturated fat and it has a low calorie count. This makes it great if you're trying to lose weight or even if you just want to eat more healthily. Various studies have been conducted involving soya beans and their by-product, tofu. The results of which have said that they can both potentially provide some protection against heart disease and cancer. This should not be taken as literal though as there are conflicting views regarding the true health benefits of soya beans and tofu with regard to these two big life-threatening diseases. One thing is almost certain though. 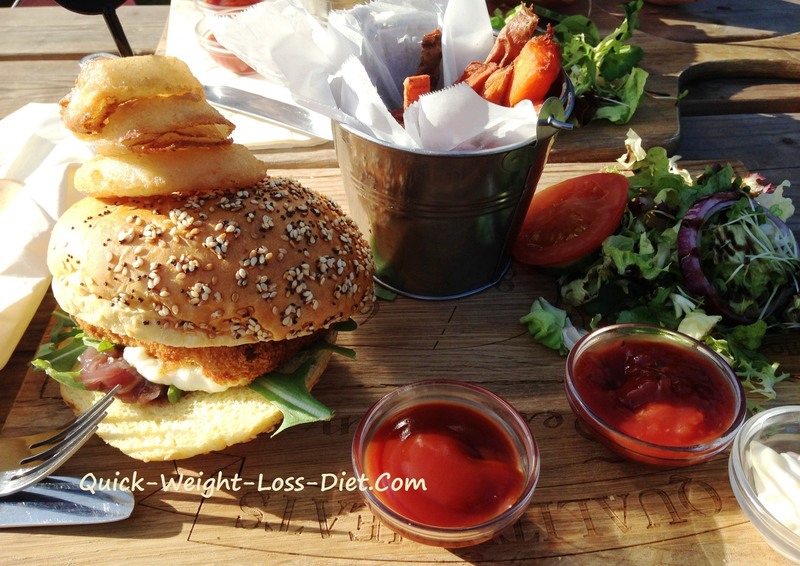 Reducing your red meat intake will almost definitely reduce the risks of heart disease. To be totally honest it's like most things, you either like it or you don't but I think it's fair to say that the nutritional and culinary benefits of tofu account for it's widespread use and prolonged existence. It's a great food that offers a low-fat, high protein alternative to meat that can easily be added to any vegetarian recipe or dish in an instant. It can be kept for relatively long periods of time and even frozen too. It also takes very little time to cook which is great for quick vegetarian recipes and dishes. It can also be added to any type of flavoured dish too. I use tofu a lot and think it's great stuff! Please Help the World's Wildlife by Supporting WWF and add your name to their petitions to help support their on-going great work. It won't matter what we eat if there's no world left!